This, too, would be quite nice for the party. Most likely best with slip added underneath. 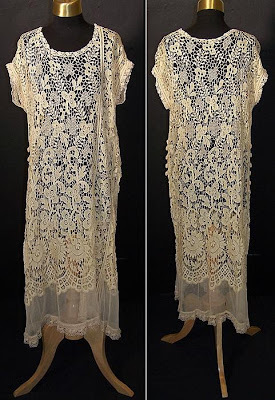 1) Lace like that would have to chafe during a heated game of badminton or pink gin pounding. 2) Can't have any "ladies" showing it all (and by default, showing up the hosts).